_ Simple horizontal line and black and green color combination, use thick hard canvas material + wide cotton tape + elastic rope buckle + wax rope + Japanese plastic buckle + patch embroidery (leather). Available in outer and inner pockets for light out. The three patterns can be selected from Chai Tai Lang, Xiao Xiao, and as a fox. _ "The work that I want to be "made" is the craft that I like, and this is the work of Zuo zuo. Mainly made by hand sewing. Strive for immortality, practical and simple, simple and generous, natural and not adorned. The process between embroidering and sewing; the fit between cloth and leather has a hint of east wind and wind. The applied techniques include embroidery, leather, cloth, printing, and ray carving to make the products more abundant. [ Product specifications] • Dimensions (cm): Width 20 Height 33 Thick 10,4cm cotton webbing (length 100cm female buckle adjustable), inner pocket inside. 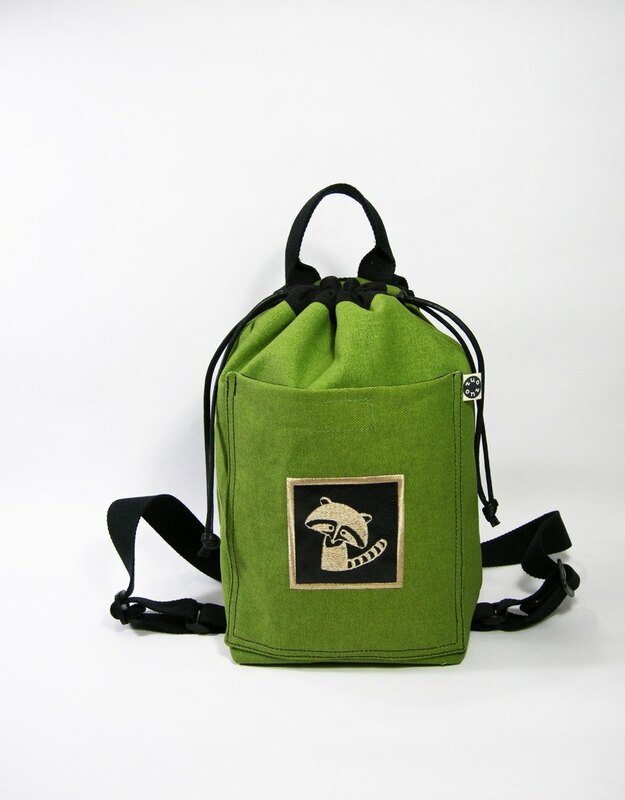 • Material/color: table cloth _ green canvas, black canvas, inner _ black thick nylon cloth • Production difficulty: ●●●○○ • Production: Taiwan | Design [ work days] • This is a custom order, which takes 7-14 days of work after payment is completed. ※Zuo zuo products are hand-made sewing. If they are in stock, they can be shipped within 7 days. If the materials are not made, please wait patiently and send them 7 to 14 days after payment (excluding holidays). If you have any questions, please feel free to ask. [ Precautions] • Because each person's computer screen is different, there will be a slight color difference between the product and the screen. • Custom goods cannot be returned or exchanged. • The merchandise is hand-stitched and there will be some residual lines at the end of the stitching. • The purchase of the product will be intimate packaging.